Thanks partially to the success of Duncan Campbell at last year’s Turner Prize, artist-led filmmaking has been undergoing something of a Renaissance. At the forefront of this revolution in filmmaking are the Jarman Awards and videoclub. This month, Videoclub and FLAMIN (Film London Artists’ Moving Image Network) are touring the country with Selected 5, a lucky dip of early career work from artists nominated for the Jarman Awards. This week the tour is stopping off at the Northern Quarter in Newcastle, where films by artists such as Kate Cooper, Lucy Beech, Tom Lock and Min Wei-Ting are being shown alongside conversations with the artists themselves. Ahead of the showcase, I talked to the Director of videoclub Jamie Wyld about the importance of the Jarman Awards, what makes films by artists unique and what the organisation are up to in the future. How do you work with FLAMIN to choose the films presented in Selected 5? We invite the shortlisted artists from the Film London Jarman Award (which is delivered by FLAMIN) to nominate artists who are earlier on in their career, and who they feel deserve greater recognition. From the nominations, I work with FLAMIN staff to select a programme of films that are the exemplars of the nominations, and that are representative of a range of styles and practices that artists are using. We usually choose one nomination from each Jarman Award shortlisted artist. A lot of the films in the selection are made by artists. Do you think artists have a different approach to filmmaking when it comes to style and content? Artists often take a less direct narrative approach than more conventional filmmakers tend to. So their films are often less about story and more about concepts, and the portrayal of an idea visually using film. They can sometimes be quite abstract, or have a narrative structure, or be documentary based. Artists often want to communicate a passion or interest, which might be political, social, scientific or personal, exploring issues from the everyday to the universal. You’ve said that films by artists can often be a highly politicised medium. How would you say that films by artists are more politicised than traditional narrative filmmakers? It’s more about the way politics is depicted; a wide range of approaches are deployed by artists, including humour, which would seem out of place or awkward in a narrative film. Artists can use less direct ways of raising political issues, ways that are thoughtful, challenging and provocative, using different styles such as music video, animation and digital collage. For you, what is the importance of the Jarman Awards to the film industry? Do you think that the Jarman Awards help to show the continuing vitality of the British film industry? I think the Film London Jarman Award is a key event and programme in the moving image calendar, promoting artists’ film as a medium on a national and international scale. It promotes artists’ film as a serious practice, often predicting future Turner Prize nominees and winners. What do you hope that audiences will gain from seeing the Selected 5 screening? I want audiences to come away feeling they have seen something quite cutting edge, out of the ordinary and very much at the forefront of what is happening in artists’ film at the moment, and in particular what early career artists are doing. I hope they go away excited, learn something new about the practice, and gain an understanding of how artists are developing their ideas and making work. Do you have any personal favourites out of the films, or even moments that you find memorable? This year’s programme is great! Ainslie Roddick, curator at CCA Glasgow, remarked that 2015’s programme is the best yet. Kate Cooper’s film Rigged is especially good, which looks at how the female body is portrayed through digital image technology. One of my favourite films I’ve shown this year is Gabriel Abrantes’ Ennui Ennui, which looks at America’s invasion of Iraq and its use of drones. It’s a humorous yet stark look at how Americans – stereotypically – see Iraqi people. What have videoclub got planned for the future? We’re developing a really exciting touring programme of artists’ work from China, Hong Kong and the UK, which kicks off in July. Both Sides Now will be exhibiting in Manchester (Centre for Chinese Contemporary Art) and Hong Kong (K11 Art Foundation), plus artist residences, talks and screenings in China and the UK. 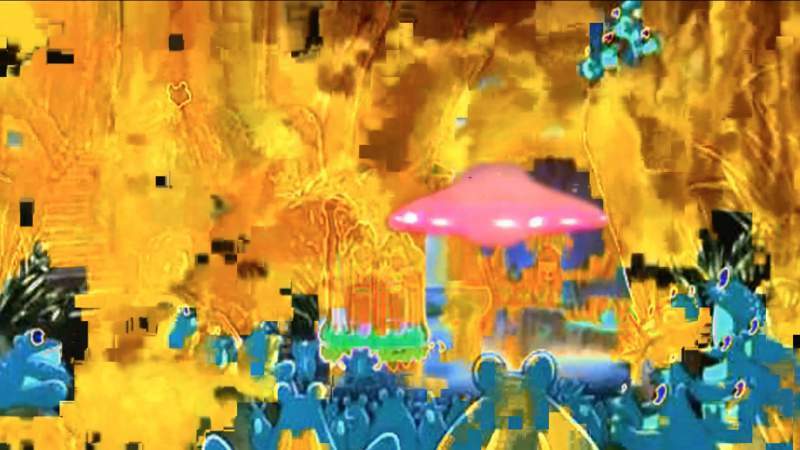 Both Sides Now is being curated by videoclub and Videotage (Hong Kong), and includes artists David Blandy, Rachel Maclean, Ellen Pau and Wong Ping. Selected 5 comes to CIRCA Projects at The Northern Quarter, Newcastle on Wednesday 10th June.